All Sabinal homes currently listed for sale in Sabinal as of 04/23/2019 are shown below. You can change the search criteria at any time by pressing the 'Change Search' button below. If you have any questions or you would like more information about any Sabinal homes for sale or other Sabinal real estate, please contact us and one of our knowledgeable Sabinal REALTORS® would be pleased to assist you. "The perfect family home! 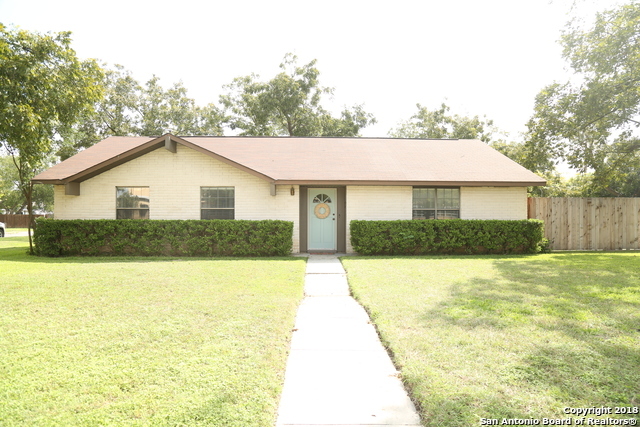 A 4BD/2BA ranch style home that has been remodeled throughout. This house is perfect for a family located in Sabinal, TX. New tile flooring throughout most of the house, recessed lighting, granite in kitchen and guest bathroom, and a copper sink in the master bathroom. Open concept dining area to the living room with high ceilings, a fire place and a wet bar closet. Kitchen features a double oven and appliances that will convey. A second large living room exits to a larg"